Alexanderplatz is not exactly one of the most beautiful squares in Berlin, however it should be said that it is a historic symbol of the city. 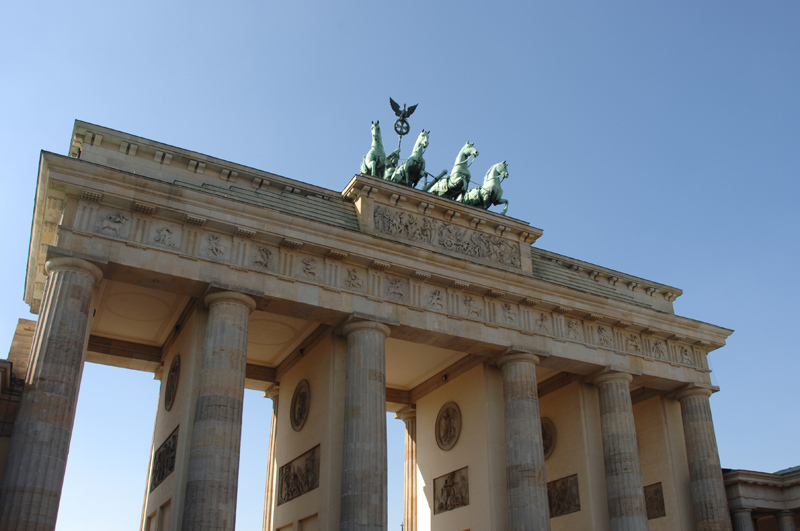 With such a long name, Berlin’s citizens sometimes call it ´Alex` for short. During the middle ages, this square was the site of a livestock market, and since then it has always been the stage for commercial transactions. It was given its name in honour of Tsar Alexander I’s 1805 visit to the city. At the end of the 19th century a station with the same name was built in the square, as well as a market next door. These two new buildings led to Alexanderplatz becoming an important nucleus of communications and the commercial centre of Berlin. However, the square’s highpoint came during the 1920’s, when its vitality and nightlife made it known as the true heart of Berlin life. This period even inspired the novel “Berlin Alexanderplatz” by Alfred Doblin, as well as two films, one of them by the prestigious director Rainer Werner Fassbinder. After the Second World War, Alexanderplatz found itself in the Soviet zone, therefore any restoration work that took place here followed the regime’s aesthetic criteria. This was usually rather austere. With this change of image, the square became home to charm-less, grey buildings and the splendour and excitement of decades past were left behind. The square was also the stage for massive demonstrations before reunification. On one occasion more than half a million people gathered here to call for union between the two Germanys. When the wall finally came down, the square was reformed one more time, the results being better than past efforts. Alexanderplatz is surrounded by renowned buildings, like the interesting World Time Clock. As the name suggests, this construction shows the time in capital cities throughout the world. Although it would be true to say that it is known more for being a meeting point. Even though its surroundings have changed and been remodelled over time, Alexanderplatz still preserves its socialist character. And this is the reason that visiting it is so interesting, it allows you to go on a journey through time and understand what socialist Germany was like.